This is a perfect piece to wear every day, either by itself or with another small sterling silver chain that would complement it. I couldn't be more satisfied with it. This necklace is very nice and can be worn with a casual outfit or dress it up. High quality and get compliments every time I wear it! "Give a pearl a little room." While a classic strand of pearls — laden with the iridescent silky orbs — is always beautiful, there are times when the pearl calls out for a less crowded arrangement. Our Pearls in Silver Necklace is the perfect example of what can happen when pearls let loose. 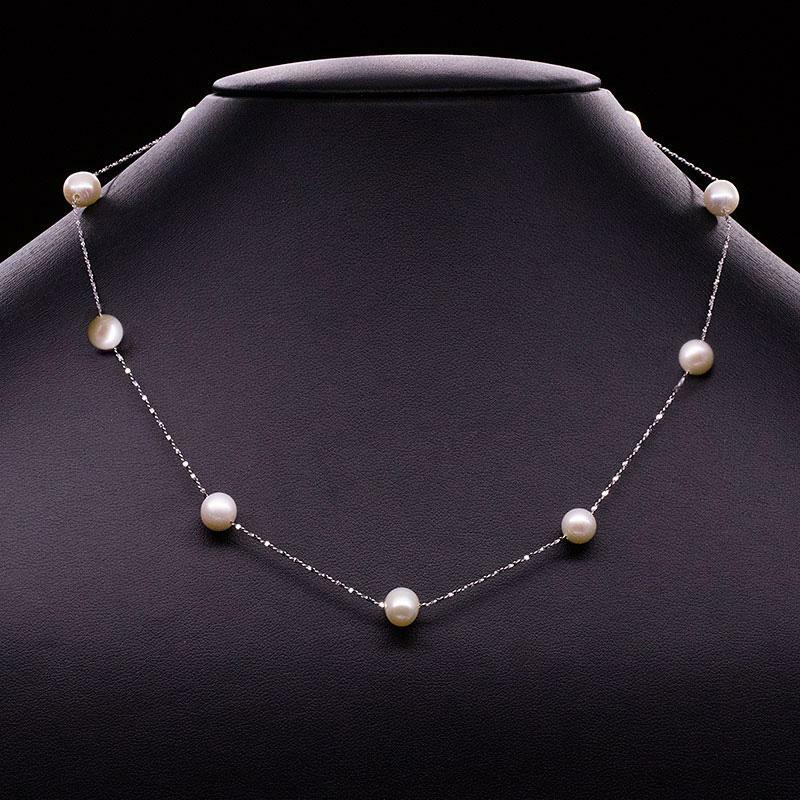 Nine freshwater cultured pearls shimmer and revel in their freedom on a rope chain of shining sterling silver. This necklace is perfect for any occasion and is a delightful representation of the classic strand of pearls that stays true to the timeless beauty of the world's only organic gem.